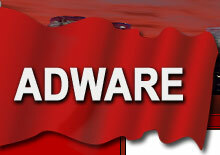 Adware is well known as one of the leading flagpole repair companies, or flagpole repair contractors. Established in 1983, our flagpole maintenance company provides the finest quality flag parts and accessories flagpole hardware & flag repair maintenance services. Whether you simply require a new flagpole rope repair kit, or a complete on site service of your flagpoles rigging & hardware, our combined industry experience and extensive range of durable flagpole parts, will ensure your flags remain flying high all year round. Our flagpole repair and maintenance service, combines the highest quality flagpole components and rigging methods with professional workmanship, providing restored easy to use flagpoles. Above picture shows flagpole repairs completed for Museum Victoria. Upon inspection the folowing work was required, new flagpole rope halyards, flagpole rope weights, flag clips, flagpole rope joiners, flagpole security door, flagpole locks and flagpole keys along with cleaning, sanding, primer and white spray painting. New flags supplied, Victorian State Flag, Australian National Flag and Aboriginal Flag. Hallam Primary School flagpole upon inspection showing poor rigging design with worn rope and non industry standard, antiquated flagpole parts. School flagpole repaired & serviced with simple child friendly, easy to use re designed flagpole rope & new flag. is our standard practice to utilise only the highest quality flagpole ropes, parts and fittings, matched with our specialised knowledge and workmanship, thus providing all clients with reliable easy glide flag rope for simple flag hoisting & lowering at anytime. Ripponlea Primary School flagpole upon inspection, showing inferior size badly knotted and worn flagpole rope, with missing flagpole security screw. School flagpole serviced and repaired with the correct high quality marine grade flagpole rope, along with all new flagpole rope weight, nylon flag clips, security screw and nylon halyard stop ball. As is our standard, all required flagpole repairs are carried out, with rope replacement installed to easilly operate allowing for smooth flag hoisting and lowering at anytime. Rowville Secondary College flagpole upon inspection, showing missing flagpole rope weight, lightweight plastic granny knotted flag clips, undersize 4mm flagpole rope along with a damaged over length flagpole security screw and rusted steel flagpole collar rivet. School flagpole serviced and repaired with premium 6mm marine grade flagpole rope, along with the highest quality UVR moulded flagpole rope weight, UVR Nylon flag clips, halyard stop ball, stainless flagpole security screw, pole cleaning and Australian flag. As professional flagpole service agents, we always ensure that upon installing a new flagpole rope, that extra rope length is supplied, alowing for normal rope shrinkage over time. This retains the integrity of the flagpoles rope operation ensuring, reliable flag monitor rope control, for smooth easy flag raising and lowering. Bacchus Marsh College 9mtr external rope flagpoles upon inspection, showing central snapped flagpole rope with worn flagpole hardware, flag parts and accessories. Being flagpole repair contractors with years of experience, overtime we have gained a good reputation from many satisfied clients, who have specifically selected our flag repair services over other flagpole repair companies. With a simple flagpole service booking, we are able to offer a punctual on site inspection and where required carry out repairs or replacement, of any flagpole's cables, ropes, pulleys and flag hardware. We ensure on site safety procedures are followed, taking great pride & care in our workmanship. Upon inspection of the three 9mtr external rope flagpoles, apart from the center poles rope being snapped due to the constant abrasion against the top rope pulley, other flag rigging required prompt attention. This included new flagpole rope replacement with flag clips, flagpole rope joiners and heat shrink covers. To minimise any future rope abrasion, special White Nylon balls were added to the top of the flagpoles ropes. Picture above shows steel set screws fixing the flagpoles tie off cleats which are rusted permenantly in to the flagpoles. As a professional flagpole maintenance company, steel screws, fixings or flagpole fittings should never be used, apart from rusting from being a dissimilar metal, stainless steel or aluminium flagpole fittings & fixings should always be used wherever possible applied with buytl mastic reducing electrolysis & corrosion. On site Sunday morning 7.00 am, picture above shows 45 degree wall flagpoles one with a missing flagpole rope and the other without a flag flying. As our client was to hold an official Government function the following day, with the Governor-General in attendance, as a matter of flag protocol it was imperative that these flagpoles were to fly The Australian National Flag & The Victorian State Flag for this very special event. Upon closer inspection of the two flagpoles they were also found to be of a very poor design, as far as the flagpole ropes being possibly the poorest quality rope ever seen. The flagpoles had also been re roped without any thought with regards to the ease of hoisting & lowering the heavy sewn flags. Once untied, one of the rope tie off cleats simply fell off in our hands as they were attached with loose and rusted wood screws. After consultation with our client on site, we proposed a slight re design of the ropes system, that being new rope pulleys fixed at the base of the flagpoles, due to the split direction of each rope, as the tie off cleats were located on the windows ledge for easy access. When finished the new ropes design was of a loop formation via, each pulley. New aluminium tie off cleats were pop riveted on to the steel window ledge covers. As requested by our client the buildings current flags were to be re attached to the flagpoles, as they were made to a particular design type containing heavy rigid batons which aid the flight of the flags and reduce the flags wrapping arround the flagpoles. With completion of works our National & State Flags now await The Governor-General. We take pride in our workmanship in all respects using flagpole parts & fittings of the highest quality. Good enough is not near enough, perfection is our aim.